High Performance Addiction • Audiophiles Want What They Need All enthusiasts are looking for the same things: Verisimilitude, a sense of engagement promoting suspension of disbelief, a veritable immersion in audio and video experience. To detach without effort from modern time’s exigencies requires meticulous preparation of the entire playback chain, especially cables, power cords and AC distribution. Evolution II, an update of the extremely well received Evolution series, incorporates newly-engineered anti-resonance cable clamps as well as an upgraded dielectric/insulation of RoHS-compliant Pb-free PVC incorporating anti-resonance carbon particles in its manufacture. Our Pure Transmission philosophy incorporates rhodium-plated pure copper conductors, even the IEC connectors of the Evolution II power cord. No detail too small, every element of signal and power transmission engineered to within an inch of its life, treated with advanced processes, and turned out with beautiful design and build quality to enrich every music experience. Evolution II, an update of the extremely well received Evolution series, incorporates newly-engineered anti-resonance cable clamps as well as an upgraded dielectric/insulation of RoHS-compliant Pb-free PVC incorporating anti-resonance carbon particles in its manufacture. 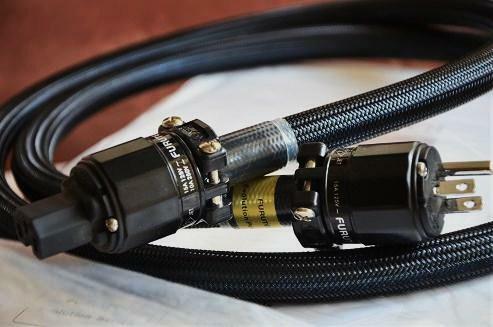 The Pure Transmission philosophy incorporates rhodium-plated pure copper conductors, even the IEC connectors of the Evolution II power cord. No detail too small, every element of signal and power transmission engineered to within an inch of its life, treated with advanced processes, and turned out with beautiful design and build quality to enrich every music experience. Twin RoHS Compliant Ultra Flexible Pb free PVC Sheaths provide improved vibration isolation. Whatsapp at 012-3023330 for more info. Speakers: Chario , Morel Supremo , MB Quart , Mordaunt Short , REL R505 Sub , Pioneer.